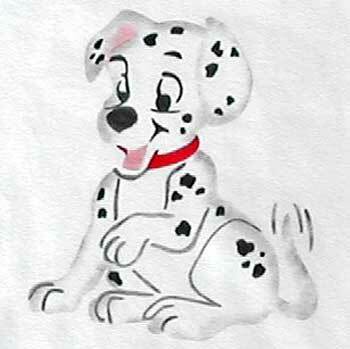 You can dress up the simplest baby clothes or t-shirts with this adorable dalmatian stencil. 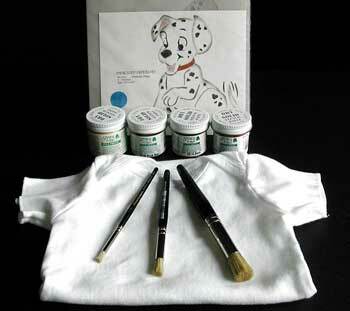 Using our stencil creme paints, you can keep the stencil design as soft and comfortable as the t-shirt itself. This stencil can also be reused to create a coordinating hoodie, jacket, or blanket. Pre-wash and dry your onesie or t-shirt. Make sure not to use any fabric softener. 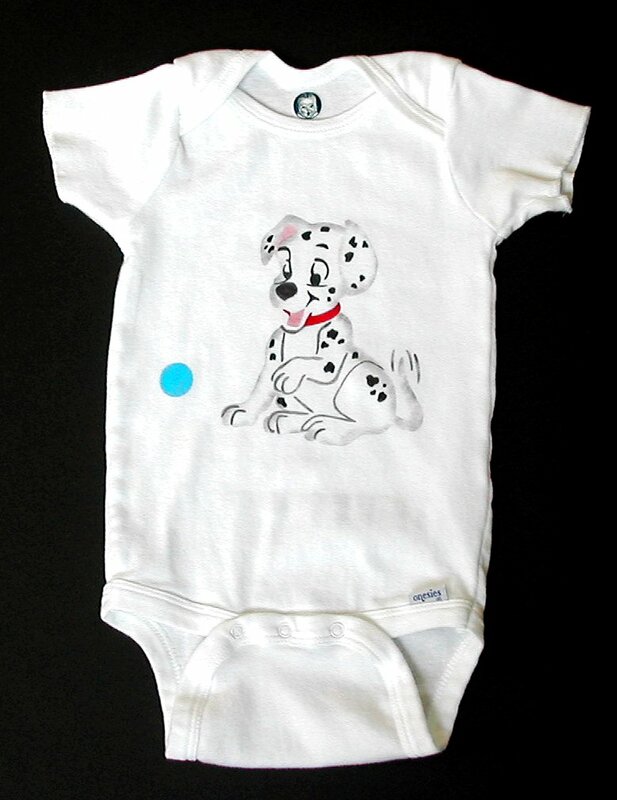 Place your piece of cardstock or cardboard inside the onesie. Place overlay one on the onesie where you would like to begin stenciling. Apply appropriate colors. 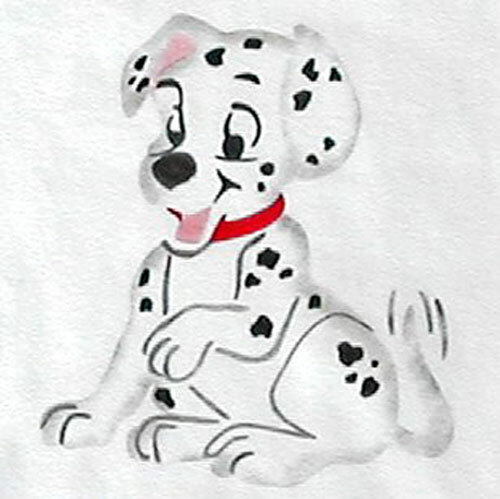 *Make sure to use a pouncing technique of stenciling, so as not to stretch the fabric. Use a disappearing quilters pen or light pencil to mark your registration marks. Repeat step 3 for each of the remaining two overlays, making sure to let each layer dry before applying the next overlay. Allow 2 weeks for the paint to cure before washing. Dress your little one in his adorable new shirt!